Code Injection is the ability to add new code to a running app without relaunching it. In iOS development, large project compile time can be quite long, and injection can offer a huge productivity gain during development. There are two projects I’m aware of that support this: Injection for Xcode and DyCI. 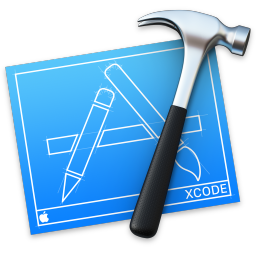 I’ve spent more time with Injection for Xcode, so that’s the one I’m focusing on here. In this post, I’m going to focus primary on how to get your project setup for successfully running your first injection. It performs this by parsing the build logs of the application to determine how a source file was last compiled. With this it wraps the result of re-compiling into a bundle which is injected into the application using the dynamic loader. At this point there are two versions of a class in the app, the original and a new modified version from the bundle. The modified version is then “swizzled” onto the original class so changes take effect. For a deep technical dive into the implementation, @orta has a great code spelunking article that walks through the codebase. He does a great job making a complex project more approachable. Getting injection setup on Xcode 7 is straightforward, particularly if you already have Alcatraz installed. Once again, @orta has a quick introduction blog post and video tutorial that will help you get setup. For Xcode 8 it’s more complicated. This year Apple introduced an official extensions API, but it is currently limited to source editor extensions. 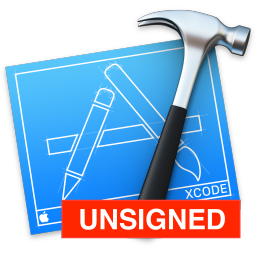 Apple has also signed Xcode to prevent unsigned code from being injected and executed (remember XcodeGhost 👻?). These are good steps for security, but also prevent tools like injection. 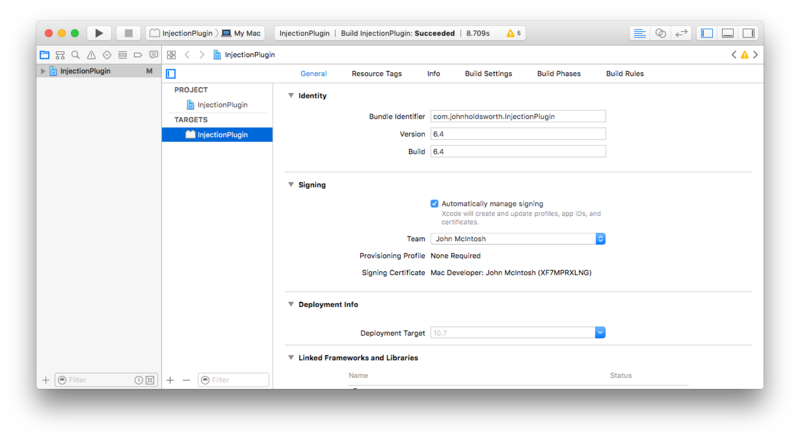 In my previous post Safely Running Extensions in Xcode 8, I describe how to do this and ensure that your workflow still provides the safety gains of using a signed copy of Xcode for deployment builds. 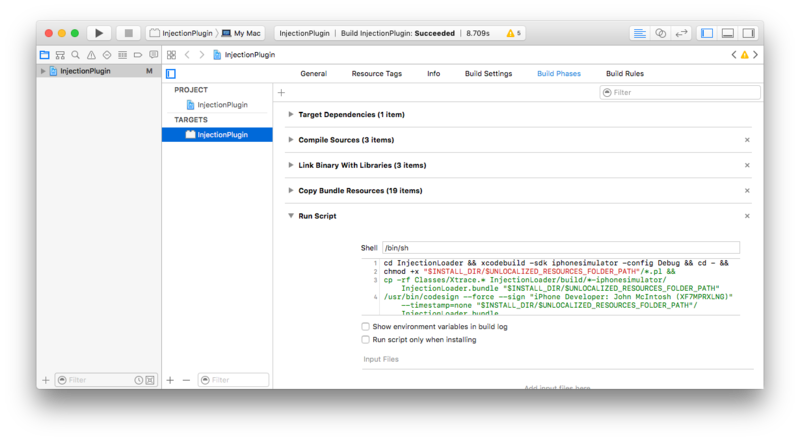 Build Injection for Xcode from source. Start by downloading or cloning Injection for Xcode from GitHub. Open the project file in Xcode 8. Codesigning is now required, so udpate the plugin’s project file to include your codesigning, and update the template project that will be executed by your host project later to include codesigning as well. 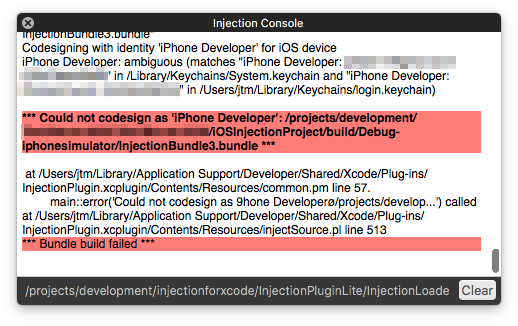 These two projects are InjectionPluginLite/InjectionPlugin.xcodeproj and InjectionPluginLite/iOSBundleTemplate/InjectionBundle.xcodeproj. Approve the plugin to run. Now that the plugin is installed, quit and re-launch Xcode 8. When it relaunches, you’ll be presented with a dialog asking whether to load the plugin bundle. Choose “Load Bundle”. You should be able to verify that the plugin is successfully installed by going to the Product menu bar item, and you should have two new items at the bottom of that menu: Injection Plugin and Inject Source. If so, this is indicative of multiple iOS codesigning identities. 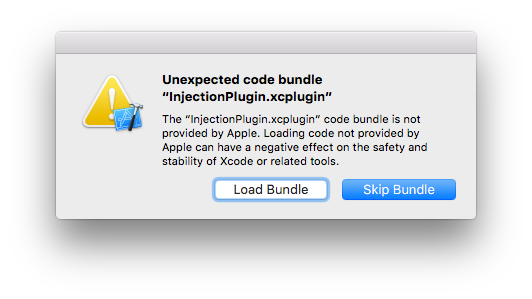 By default, the injection bundle is trying to inject based on a generic developer profile name, but if you have multiple, you need to specify which to use. In your repo, find the file iOSInjectionProject/x86_64/identity.txt and modify iPhone Developer to be your fully qualified signing identity name. For me, that’s iPhone Developer: John McIntosh (XF7MPRXLNG). After saving that change, you should be good to go. The injection plugin’s GitHub page has a few good examples of use-cases for getting started with workflows to speed up your development. It’s time reboot my web site. Well, let’s be honest – it’s past time. The old site was primarily geared toward promoting my work as a freelance iOS developer, but I’ve been working with Mutual Mobile for over 3 years now, so I’m not currently looking for new contract work. I would like this to become an outlet for doing a bit more writing. It’s been awhile since I have done much writing, and I have slipped into a habit of feeling like I need to perfect something, otherwise it’s not worth posting. Between the burden of perfection and the friction of posting to the web, it rarely happens. In fact, the last post on the previous blog was from 2011. To combat this, I’m trying a new approach and striving to post more frequently with less concern for perfection. In addition, I’m trying out some new tools for web management. As a developer, I’m more comfortable writing in a basic text editor than a web interface, so I’m trying out Jekyll which allows me to write locally, and publish to the blog by pushing to a git repo. In theory, I think sounds like a frictionless workflow for me, so we’ll see how it works out in practice. My professional life is centered around iOS development and team building, so I suspect that most of the content here will be related to that, with brief intermissions for photography along the way (portfolio on 500px).